The contemporary Taiwanese performer will present an artist talk on her philosophy, practice and vibrators. 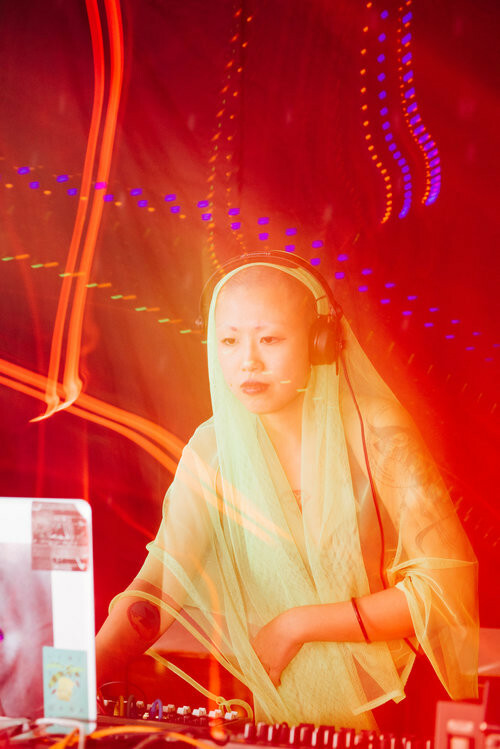 Cheng Yi-Ping aka Betty Apple (b.1986, based in Taipei) is a sound artist, electronic composer and DJ, and her practice is mainly in live art, sound art and video. Using sound and body as her artistic approach, the concept of her works is rooted from the postcolonial surrounding she originally comes from. By desecrating the imaginary historical burden and false symbols of race and history with the fictional intercontextuality, Cheng intends to break the control of industrial civilisation and to deconstruct the order of the new world.